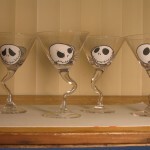 I have a few favorites in my collection and I would have to say that this set of glasses are considered one of them. 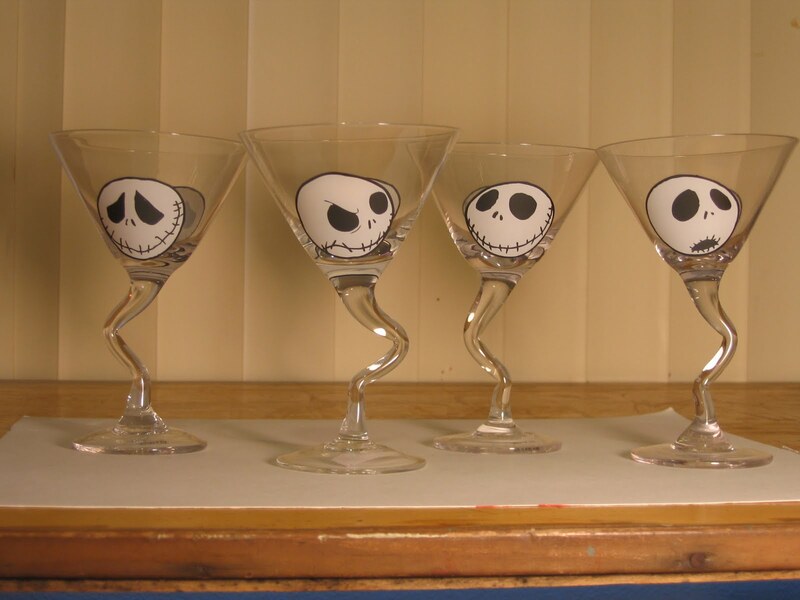 They are martini glasses with painted Jack heads on them. How cool is that? This was a Christmas gift given to me by my aunt back in 2005. I’m not sure where she ordered these, but she ordered them somewhere on the internet. I just remembered receiving a plain brown brown box with the glasses mixed in with the Styrofoam peanuts. When I opened up my gift, I was really pleasantly surprised at my gift as I have never seen these anywhere before. These are actual glasses and not plastic. They each have a different face of Jack’s many moods. The faces are painted on two sides of the glass. You’ll also notice that the base has this zig zag shape like a crazy straw. I love the base as that zig zag shape makes these glasses very unique from anything else. I do not ever drink from the glasses. They are stored safely in my display cases. You’re glasses are very nice, though!